Ridgid has always been known for their excellent machinery. One of the best tools they have on the market is the 10 Inch Rigid Miter Saws . 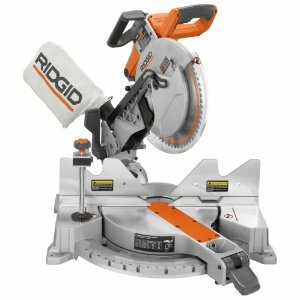 Along with all of the standard features of a Ridgid saw, there are a few new additions on the 10" that users might want to take note of: the dust port, the table extension, the blade brake and the marking surface. 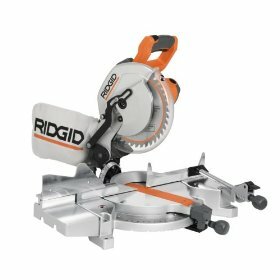 These special features make the 10 Inch Rigid Saw unique and original, and definitely make it the saw of choice. The 2 ½" dust port connects to standard dust collection systems, and helps get rid of the dust and trash that accompanies every carpentry job. This dust port does an excellent job directing the debris into the dust collection system of your choice, be it the standard dust bag or another receptacle, and is easy to remove when not needed. Needless to say, it's also easy to clean and store. One of the best features of the 10 Inch Rigid Saw is its extra tall left side table extension. This, in conjunction with the table clamp, helps support your project. This is a special bonus if the project is on the large side. You'll no longer have to avoid cutting large pieces due to a lack of space. The table extension is also easy to remove and can be put away when no longer needed. The Rigid Miter Saw have a blade brake for safety. Injuries can happen when a carpenter needs to stop the blade immediately for one reason or another, or thinks the blade is off when it actually isn't. This blade brake eliminates the problem, and gives users yet another reason to get this miter saw. It's easy to access and simple to use. This handy feature allows the user to mark the surface of the wood for repetitive cuts. No longer will you have to continually measure and space out the same cut, checking for a precise length. The Repeat-A-Cut will do it for you. It can ensure a perfect, even cut every time, and cut back on your labor. This can save you time and money. 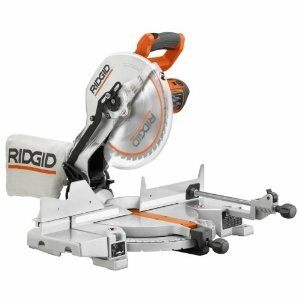 Other Ridgid features come standard on this model as well. Note that the 10" miter saw comes with a laser guide. This product was one of the first to do so. The laser guide is blade activated, so you never have to worry about turning it on or off. The saw can do cross cuts in 2x4s or 4x4s, and the carbide blade is the best on the market. As a carpenter, many different elements must be considered before deciding on a good miter saw. As a result, finding a good miter saw can be a difficult task. The people at Ridgid already know this, and want to make your search as easy as possible. The quality of the 10 Inch Rigid Miter Saw is impressive; the added features make it an ex cellent tool to have in your carpentry arsenal. Return From 10 Inch Rigid Miter Saw Page to Home.